In this tutorial you will be shown how to set up a Tower of Hanoi scheme that will provide up to a month (32 days) of backup coverage at any given time. Due to the design of the ToH backup system the exact level of coverage will vary between 16-32 days, with 5 individual restore points available at all times. This level of coverage requires 5 backup locations (disks/external drives/NAS etc.). The method can be extended to provide 32-64 days of coverage using 6 locations. See the description of the ToH backup scheme here for more detail on how & why the coverage varies. First you need to set up your backup definition files. This is covered in plenty of detail in other articles and I won't go into the general process here. The key points to note are you will either need multiple definitions for each definition file if you intend to have all your backup destinations available simultaneously (e.g. you are backing up to different network storage locations). However if you plan to rotate your backup destinations so that only the required destination is online at any one time you can use a single destination. If you map each of your drives to a different drive letter for ease of identification you can use the Alternative Locations feature in Reflect to facilitate this approach provided that only one of the destinations is available at a time. For more information see our Help documentation linked here: http://www.macrium.com/help/v5/Backup/Alternative_Locations.htm. To achieve a Tower of Hanoi backup schedule that covers an entire month we will need 5 scheduled tasks, one for each of our storage locations. This is the case whether we use 1 backup definition file or several. 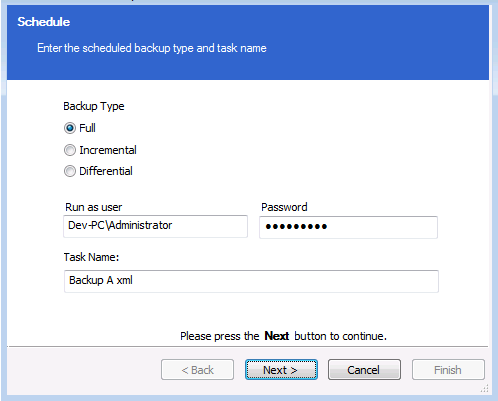 The first step is selecting the type of backup and entering any required credentials. We will be using Full backups for all our backups. This may not be feasible depending on the amount of data being backed up but a Tower of Hanoi system utilising Incremental/Differential backups is significantly more complicated to setup and is beyond the scope of this tutorial. At the next screen we need to choose a Daily backup schedule. 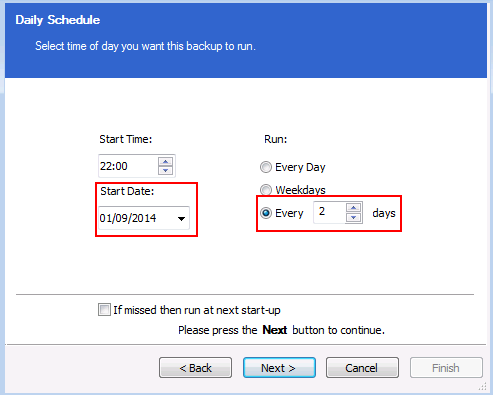 The backup will not run every day but we will be specifying the backups to run a set number of days apart. *If you wish to start on a different date then just add an offset to each of the values in this column. A final note on the Tower of Hanoi backup scheme: This scheme is meant to provide rolling coverage across a month. 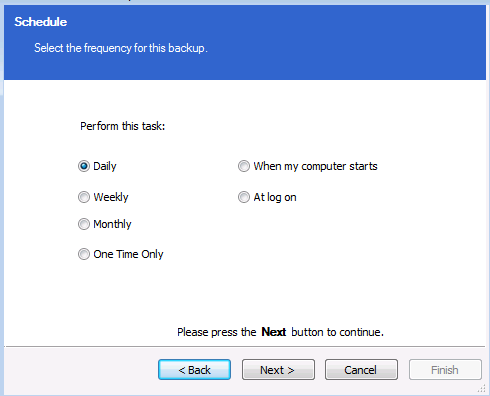 It is not suitable if you need backups on particular days of the month. Article has been viewed 7,990 times.